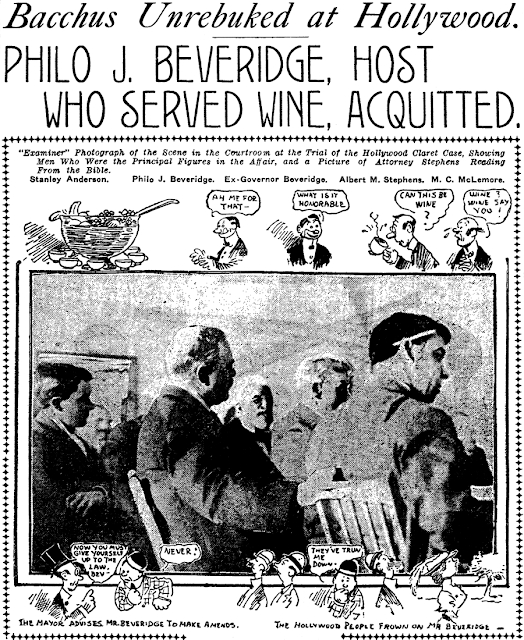 Friday, January 3 1908 -- You might find it hard to believe, but Hollywood was once a town of teetotalers. Or rather, it was supposed to be. 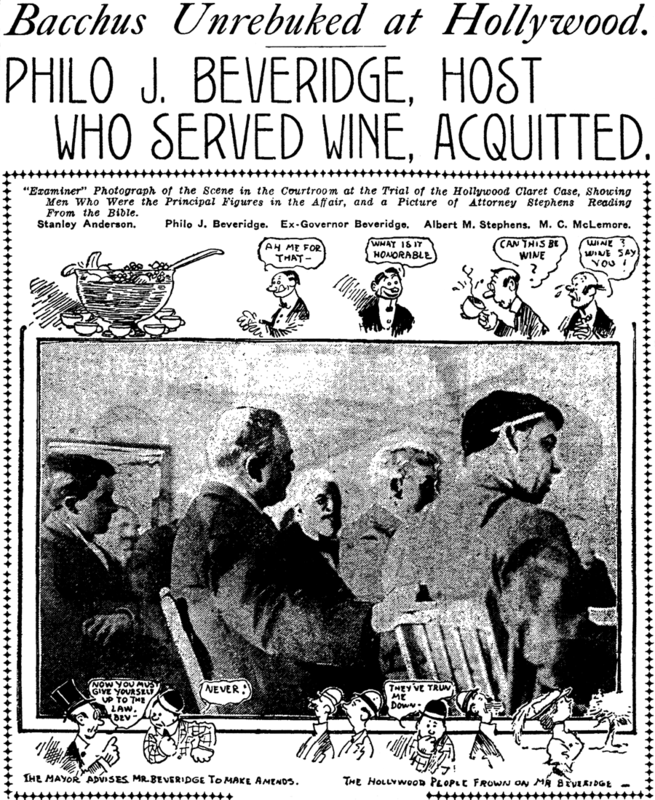 They had some of the toughest anti-drinking laws around, but Philo Beveridge, the second husband of the founder of the town, flouted the laws with his parties at the Hollywood Hotel (in the story called Hotel Hollywood). Here's a capsule history of the prohibition laws in old time Hollywood. From grocery clerk to one of the most influential cartoonists in America is the condensed story of the life of Charles Nelan. Born in Akron, Ohio, Charles Nelan went through the usual course of schooling and then, able to read and write, went to work for a grocer at a small but sure salary. It is said that he spent most of the salary and much of the grocer's time in making sketches of the customers who patronized the store. And it was this early work with the pencil that gave birth to his ambition to become an artist. Confident that he could draw, the young man saved enough money to take him to New York, and as soon as he set foot in that city he asked the first person he met to direct him to the National Academy of Design. There he was enrolled as a student. He proved such an apt pupil that at the end of the first year he was awarded the Elliot medal. The end of his first year in New York found him without money and he was forced to return to his parents' home in Akron. His father objected to his continuing his art studies and insisted that the young man return to the grocery wagon. For the following six years young Nelan worked as a grocer's assistant, but all of this time he was saving his money and was making a close study of human nature. In after years he said that the many odd characters he had met while a grocer's clerk aided him in his work as a cartoonist. After his six long years in the grocery Nelan was able to return to the art field and he went to Cleveland, where he obtained a position on the Cleveland Press. This was in 1888. 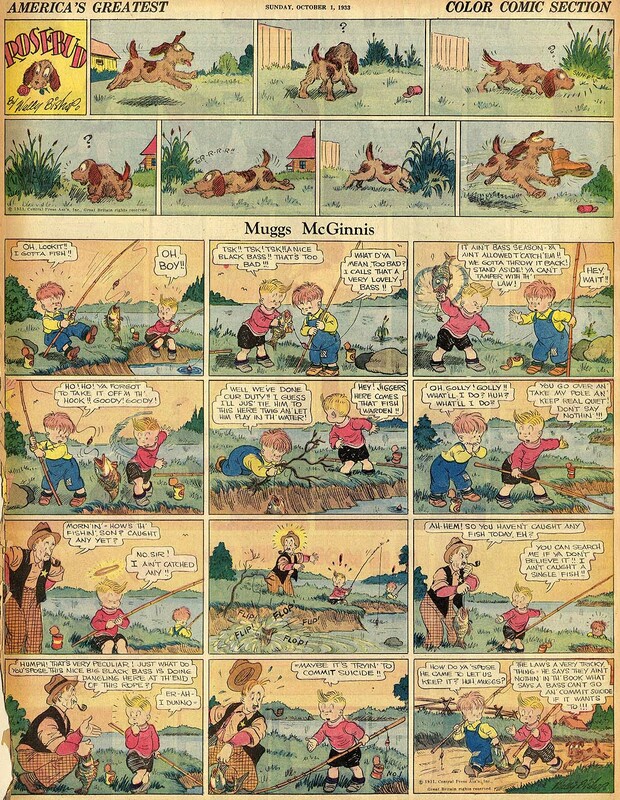 While in Cleveland he was offered the opportunity to draw cartoons for the Scripps-McRae chain of newspapers and in this way he won fame in the middle west. In 1897 Nelan was called to New York to take the place of Charles G. Bush, who was leaving the Herald to go to the World. It was on the Herald that Nelan began to make his big hits. He was a new man on the Herald when the war with Spain broke out and the many stirring days that preceded the declaration of war gave him his opportunity. A book of his Spanish war cartoons was published and enjoyed a large sale. Following this the Philadelphia North American offered him a splendid inducement to go to the city of brotherly love and he accepted the offer. This was in the fall of 1900. Factional politics in the state of Pennsylvania was boiling over at the time and Nelan flung himself into the turmoil with great energy. From that time on until the spring of 1904 there was not an issue of the North American without a cartoon by Nelan. Nelan was especially fond of drawing the character Uncle Sam. He had studied this character until he regarded one of his drawings of Uncle Sam as one of his best pieces. The same might be said of the attention he devoted to the characters John Bull and the G.O.P. elephant. Nelan's associates in the North American office remember him as a kind, gentle, big hearted man with none of the disagreeable eccentricities so often found attached to a genius. He was charitable in his judgment and upright in his personal relations, called no man his enemy and tried always to help others. He died, after a short illness, at Clay Springs, Ga., December 7 1904. Muggs McGinniss and High Pressure Pete Sundays!?!?! 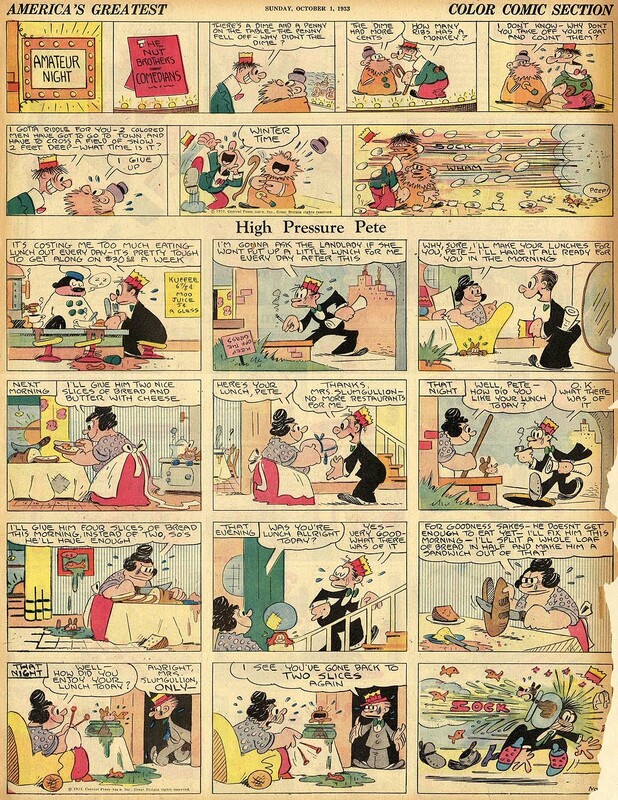 If you know your strip history, you know that the features Muggs McGinniss and High Pressure Pete were dailies only -- they were never Sunday strips. Well, Cole Johnson says different and he has proof. Here, from the Puck section in the New York American of October 1 1933 are Sunday versions of both. Before you start writing marginalia in all your reference books, though, it should be mentioned that the pair of strips you see here appear to be the only Sundays of these strips ever to see the light of day. If you look closely, you'll see at the bottom of each that they are copyright 1931 and include a scrawled-in "No. 1". The most likely explanation is that back in 1931 the Central Press cartoonists Wally Bishop and George Swanson were asked to come up with Sunday versions of their respective strips and these were the results. Languishing in the files for two years, for some reason they ended up, out of the blue, printed in this 1933 Puck section. It is unknown if they were printed in all Puck sections that week, or only in New York..
EDIT: Mystery Solved -- See this post. But the Swanson page appeared at least once more the following week, I have a tear page of it, from New York American also. Cool Grizedo! Any chance of getting a scan? I'd love to post it! Back to Hans Horina today. 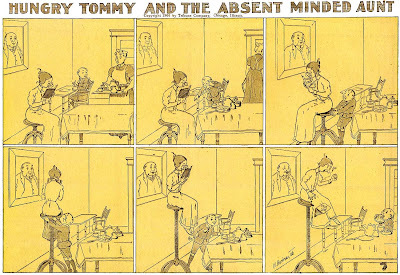 We just introduced him on the blog the other day in connection with Absent Minded Aunt, and I figured since Hungry Tommy often co-starred in the same strips with the muddy-minded matron we should give them both some blog-time. 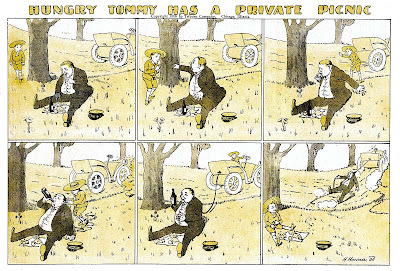 So here are some examples of Hungry Tommy by Hans Horina, which ran in the Chicago Tribune from May 6 1906 to September 15 1907, same running dates as Absent Minded Aunt. Thanks once again to Cole Johnson for the scans! If you like Horina's stuff go take a look at the portfolio of his Tribune work on display at Barnacle Press. Hans Horina was my great grandfather. He immigrated to the United States after the Chicago Tribune offered him a job for the Sunday comics section of their newspaper. Hans Horina was from Austria and a very well known artist at the time in Europe. Hans orginally came to the US by himself and when he had earned enough money he sent for his entire family. When the Tribune made the decision that the comics that Hans and some other artists were doing for the Tribune did not bring the newspaper added business they let them go. Well, Hans could not afford to go back to Austria, so he began doing artistic work for postcard companies. Eventually, Hans moved his family to Louisville, KY which had a big German community and as they say, the rest is history. Thanks for commenting! I suspected that Hans was an exception to the rest of the Euro crew at the Tribune. Can you tell us what sort of work he was well-known for in Austria? Did he work for humor mags there or something? And after postcards did Hans leave art entirely -- what did he do for work after that? Do you have any photos of him you could share? hi there, i have a handmade book from 4 german pows in ww2. interestingly all the cartoons in this book are from a hans horina? can this be such a strange coincidence that of all the pows in this camp that a hans horina was obviously the best cartoonist. maybe it was a relative or something. id love to find out some more if anybody here could help. the book dates from 1945-6. many thanks if you have any information, best regards, gary. Roland Jack Scott was born in Indianapolis, Indiana on September 1, 1886. He was the son of John and Mary E. Scott. In the 1900 U.S. Federal Census the family lived at 309 Bright Street, in Indianapolis. They were joined by Mary's sister, Anna Bussey, and her mother, Beulah A. Bussey. Scott's early cartooning career was covered on page 142 of the book, Indiana's Laughmakers: The Story of Over 400 Hoosiers: Actors, Cartoonists, Writers, and Others (PennUltimate Press, 1990). 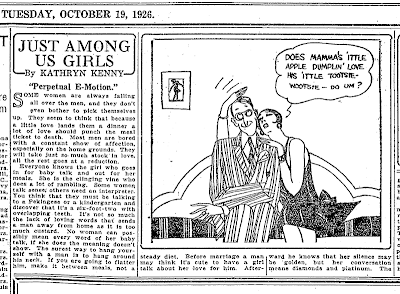 Roland J. Scott's humorous art appeared frequently in The Indianapolis Sentinel in the early 1900's. Not only did he draw front-page political cartoons, but he also frequently tried his hand at humorous sketches of the various sporting events of that day in the Hoosier capital On Sundays, the Sentinel featured his comic strip, Mr. Lose Out. He studied with George Frink, staff artist of The Chicago Daily News. Early in his career he was employed by the Indiana Illustrating Company for a year. Following that, he worked briefly for The Anderson Herald and the Chicago Daily News before coming to the Sentinel. 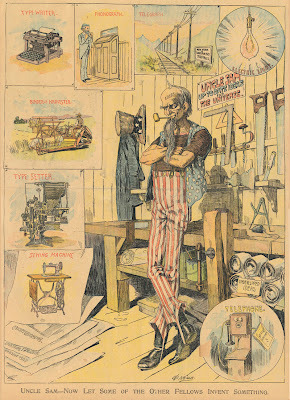 Two sources were identified: "Newspaper Artists and Their Work the Public Seldom Sees," Sunday Journal, Indianapolis, Dec. 13, 1903, part 3, p. 1; and the Indianapolis Sentinel, Jan. & Feb. 1908 (cartoons). According to Scott's World War I draft card (signed on June 5, 1917), he was a cartoonist at the Cleveland Leader. He was described as "tall and stout" with "blue eyes and brown hair". In 1920 Scott, his wife, Minnie, and son, Laird, lived on Hawtree Avenue in Howard Beach, Queens, New York City. (Hawtree Avenue was renamed 99th Street.) Scott's occupation was listed as artist at a film company. 1926 was a particularly productive time for Scott. 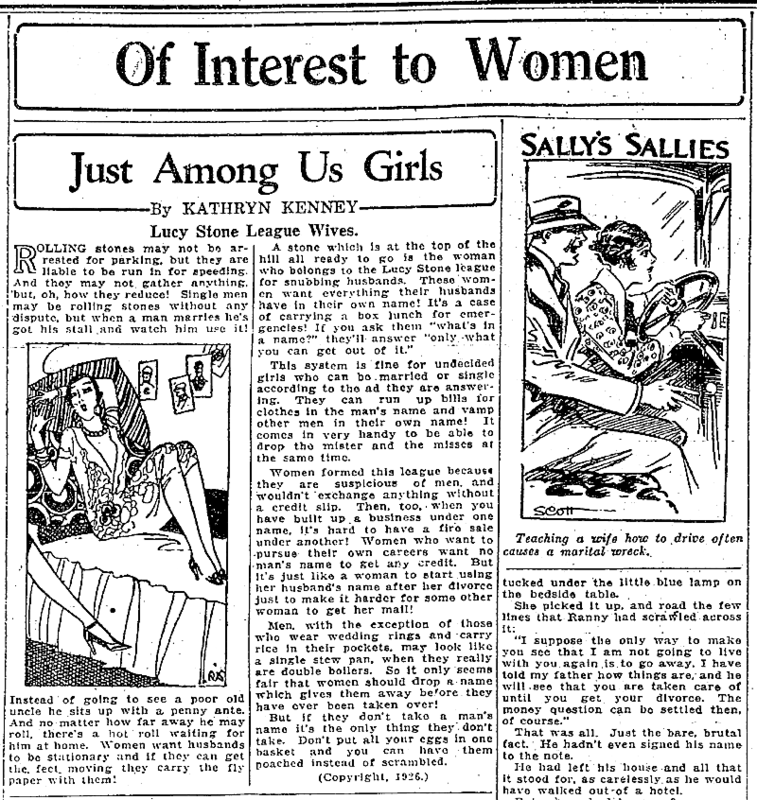 His panel, Sally's Sallies, began in mid-April in the Seattle Daily Times. In the same paper, his illustrations for the column, Just Among Us Girls, appeared as space allowed. The earliest one appeared on May 4 (signed RJS), and then somewhat regularly beginning in mid-October. In 1930, the Scotts lived at 4031 West 163 Street in Cleveland. He was listed as an artist for a newspaper. According to the census, Scott married when he was 28 years old (1914). Syracuse University (library.syr.edu/digital/guides/s/scott_r.htm) has Scott's obituary from the Arizona Republic, April 6, 1968. 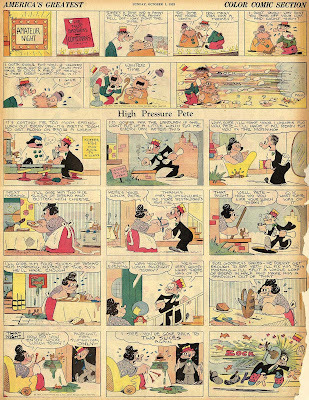 Roland Jack Scott (1886-1968), professionally known as R. J. Scott, was an American cartoonist and creator of the comic strips Scott's Scrap Book and Sally's Sallies. 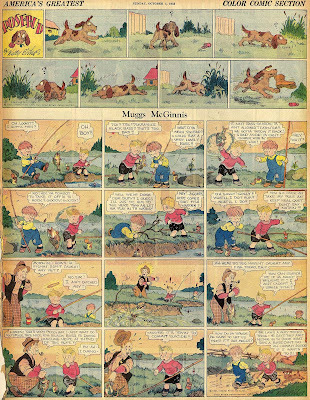 Originally from Indianapolis, Scott began his cartooning career with the Indianapolis Star circa 1900. In 1921 he made his way west to Phoenix where he worked as a cartoonist for The Arizona Republican (later renamed The Arizona Republic). After stints with papers in New York and Cleveland, Scott eventually signed with King Features Syndicate in 1931. He returned to Arizona the following year where he remained producing his syndicated panels until his retirement in July of 1967. R. J. Scott died April 4, 1968 at the age of 81. 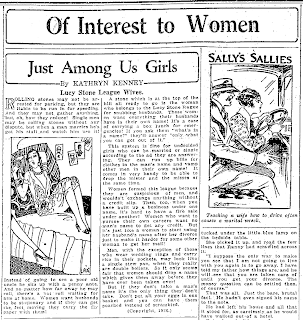 Sally's Sallies actually started a bit earlier, on March 1 1926. 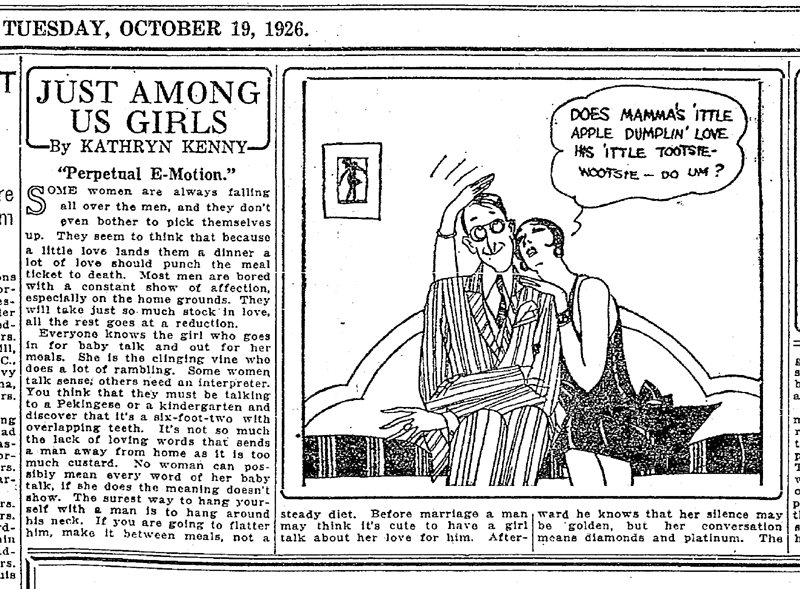 I did not know that Just Among Us Girls started as an illustrated column -- it outlasted Ms. Kenney's text contribution and became a regular panel cartoon under the helm of Paul Robinson. Has anyone seen this Mr. Lose Out feature in the Indianapolis Sentinel? Thanks for the posting on R.J. Scott. 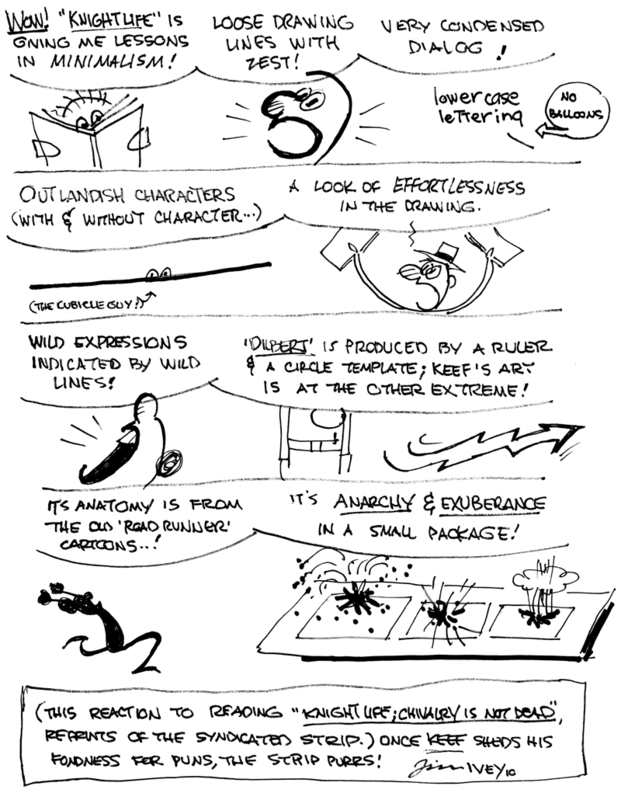 He's a cartoonist I've really wondered about. Now I have a lot more of his story. I have a poor copy of Mr. Lose-Out, made from a microfilm of the Indianapolis Sentinel. 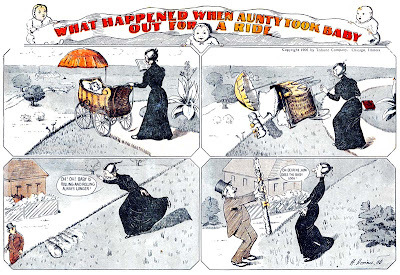 From the title and the one example I have of the strip, I would guess that Mr. Lose-Out was one of those one-joke strips from the early days of comics. I can send you a copy if you suggest a way. Most copies made from microfilm are pretty horrific, so I'm prepared for the worst. I would very much like an example -- can you scan, or is snail mail more your style? Of course I'd be happy to reimburse your expenses. You can contact me privately at stripper@rtsco.com to iron out the details. When you made the microfilm copy, did you determine that the strip was indeed part of a regular series? Did you determine the start and end dates? As the story goes, in 1905 a representative of the Chicago Tribune (James Keeley is most often cited) traveled to Germany and recruited some cartoonists to provide fodder for the Trib's comics section. 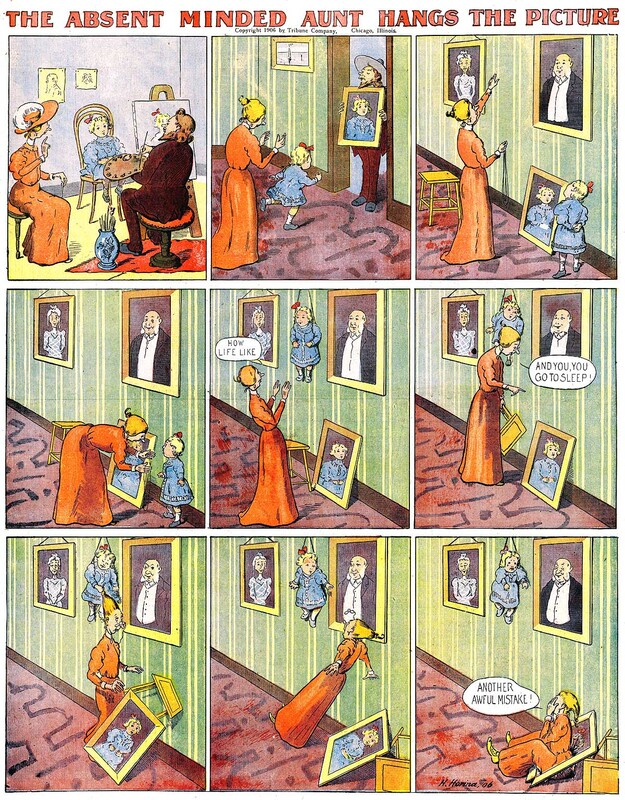 I discussed this arrangement in a long ago post for Hans, another strip from the German invasion. Today we focus on one member of that German troupe who seldom even gets mentioned amidst all the excitement over Lyonel Feininger, the big star of the bunch. Hans Horina may not have the hoity-toity appeal of the artful Feininger, but of the group he was the only one who really tried to adapt to the way American comic strips were done. Horina's work fits right into an American Sunday funnies section just as if he was sitting in the same bullpen with a group of American cartoonists. Granted, an occasional "wha---?" moment sneaks in (I have no clue what that giant spooney looking thing is in the top strip) but he made a serious effort to blend in, and thus was more popular and lasted longer than his fellow Teutons in the Trib. 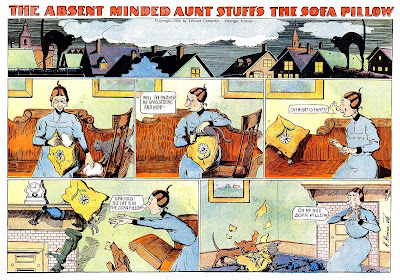 Today we have examples of one of his longest running series, Absent Minded Aunt. In this series a daft old lady gets into trouble due to her weak eyesight and even weaker gray matter. This could have been a real snoozer because the basic plot had already been done to death in the funnies, but Horina's outrageous gags, deadpan execution and trust in the reader to get the gag without a lot of blah-blah-blah elevate the strip to a higher level. 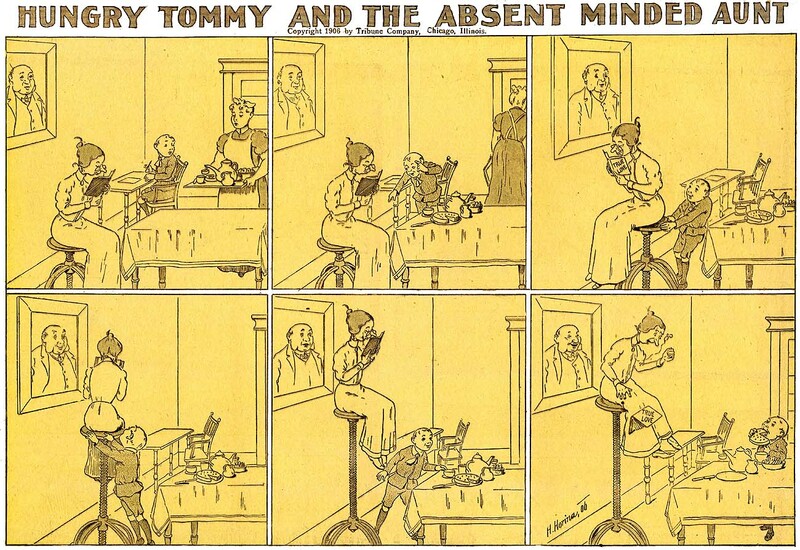 Absent Minded Aunt ran from May 6 1906 to September 15 1907 in the Tribune, and often had cross-over appearances from another Horina regular, Hungry Tommy. Much thanks to Cole Johnson for the scans of this rarity! 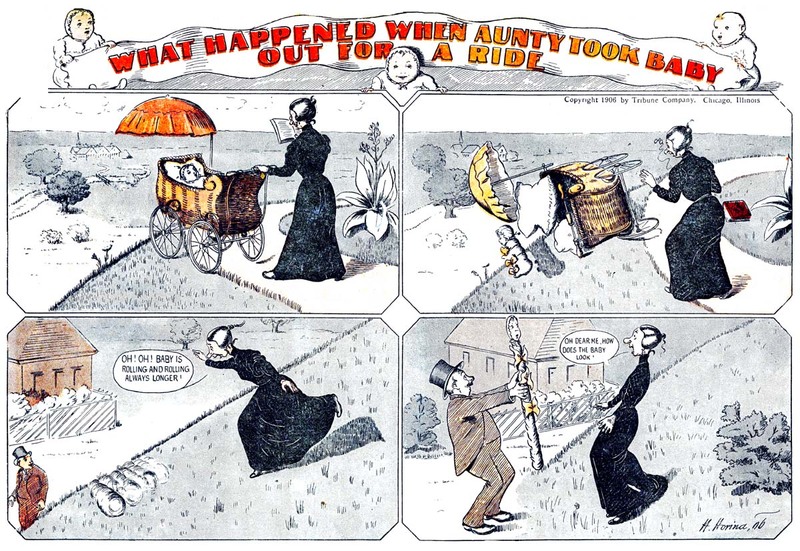 Hello Allan----The bizarre top strip shows the baby rolling down the hill, and somehow gravity has turned the tyke into twisted taffy! Anyone know any more about Hans Horina? I know he came from Vienna, and after his Tribune tenure, he drew a lot of post cards. -----------Cole Johnson. Unlike the others in the German invasion, Horina doesn't seem to have been a magazine cartoonist of any note back home, at least I can find no such references. That, and his extended tenure at the Trib have made me wonder if he wasn't actually part of the same German bunch but maybe actually immigrated to Chicago...? Any of our European readers care to enlighten us about Horina? Even Lambiek, where I figured I might find some info, is mute on his activities across the pond. I think these might be the most delightfully demented strips yet posted on the Stripper's Guide. Jim and Alan - Thanks for the heads-up. I was unfamiliar with Keith's work, but that is about to change.